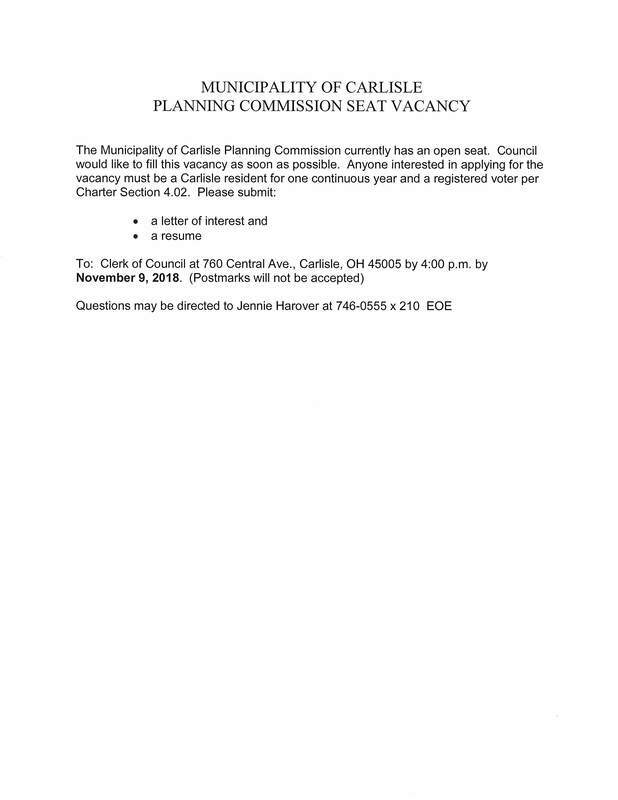 Planning Commission has cancelled their monthly meeting for October 4th due to lack of agenda items. Their next scheduled meeting is Thursday, November 1st. State Route 123 crossing will be closing August 13th and will remain closed for five (5) days, weather permitting. Paving around the Beachler Road crossing is being completed today and should re-open tomorrow but is currently closed. Martz-Paulin crossing is currently closed. Beachler Road and Martz Paulin crossings have closed as of Monday night. Both are scheduled to be opened back up on Wednesday, August 8th (weather permitting).